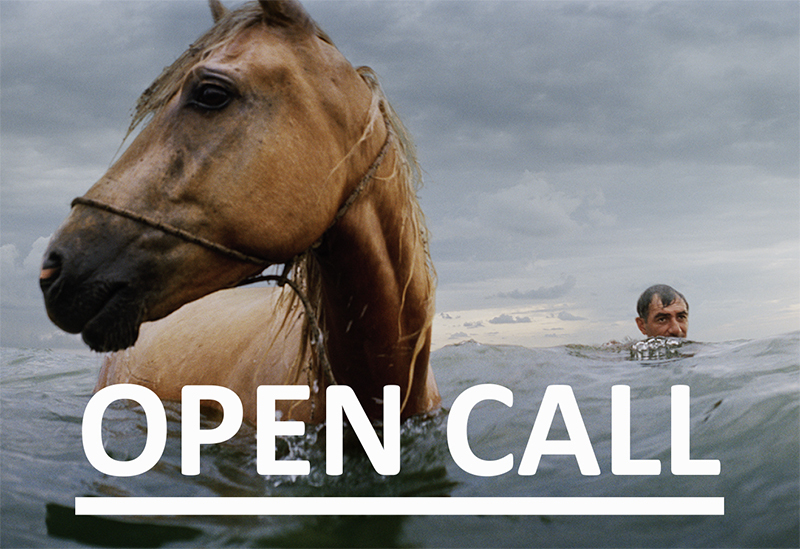 We are glad to congratulate the winners of the Open Call for workshop 'Other voices, other rooms'! Marchenko Kseniya, Kochetova-Nabozhniak Julia, Kupriyan Dmytro, Kushnarov Denys, Yashta Kateryna, Durakova Liubov, Poladova Diana, Zagoruiko Iana, Ratynskyi Slava, Naselenko Alexander, Korovainyi Serhii, Tovpyha Oleksii, Petrenko Maria, Khomenko Oleksandr, Dorogoy Pavel, Hilitukha (Lishchuk) Nina, Beba Yuliia. Inspirational documentary workshop about visual storytelling, combining film and still photography, with a focus on the themes: Borders, Identity, Dialogue. With: Jens Olof Lasthein, Swedish photographer, Stefan Wrenfelt, Swedish filmmaker, Anna Voitenko, Ukrainian photographer and filmmaker, Anna Gaidai, Ukrainian PhotoCULT Centre’s curator, Nadiya Chushak Ukrainian program coordinator of film festival Docudays UA. The topic of the workshop is to discuss and investigate how documentary photograpy and filmmaking can be a tool for discovering and exploring new perspectives in today’s society. The main themes, borders, identity and dialogue, are chosen for their relevance in defining and understanding both political realities as well as existential circumstances of our lives. We will also discuss practical working methods and the use of different means of artistic expression. 4-6th of November, intensive weekend with talks, discussion, lectures, examples of film and photo related to the topic. Short introduction to Swedish documentary tradition. Short assignment during the weekend, leading up to the longer assignment to be screened the 16-18th of December (participants will get some "homework" after the first workshop weekend and will present their results during screening in December). Workshop language: English. The workshop is free of charge. The workshop is open for documentary photographers and filmmakers. Also for those who would like to learn a tool for expressing their ideas, for example people who are engaged in/working with questions related to the themes of the workshop, we also welcome activists working with human rights and the like. Individually or representing a group or an organization. The title is inspired by the author Truman Capote's novel, 'Other voices, other rooms'. A novel which opened doors to worlds unknown to the most American readers at that time, 1948. The application should include a description of yourself and your work. Tell about your former experiences and the reasons why you apply for the workshop (not more than 800 words). Tell also if you mainly work individually and/or with a group, organization, network, gallery etc. Also if you have access to technique, cameras, editing etc. If you are a photographer or filmmaker, include examples of you work. 1-2 films and/or 10-20 photographs which are significant for your way of working. Photos: 1500 pixels wide, jpeg, not more than 500kb. Films uploaded on Youtube or Vimeo (with password if the film is not public). Application should be filled in here. The quantaty of workshop participants are limited (not more than 15-17). Workshop organizers will contact all applicants to inform about open call results. Successful applicants will be informed about workshop place and detailed program. Jens Olof Lasthein (SE) has been working as a freelance photographer for almost 25 years, both with assignments for newspapers and magazines as well as with self-initiated projects. He has had about 50 solo exhibitions at museums, galleries and festivals around the world and has published three books: Moments in Between about the wars in former Yugoslavia, White Sea Black Sea about the borderland between eastern and western Europe, Home Among Blak Hills about the Belgian coal and steel city Charleroi. In half a year he will publish his fourth book, Meanwhile Across the Mountain about the Caucasus. For the past 15 years he has even been working regularly as a lecturer and workshop leader. Stefan Wrenfelt (SE) is a documentary film maker since 1991. Working in the Nordic region as well as internationally. Productions for both Swedish and Danish television, as well as project in collaboration with organizations and institutions as Museum of Modern Art, Living History Forum in Stockholm, a institute working with human right issues and and several others. In year 2000 he won the prize for best documentary of the year in Norway. He has been teaching for over 20 years. Anna Voitenko (UA) has been photographing since 2004. She collects stories about people's lives in her own country. Her first book "Iza" was published in 2008. Iza is a village where people still keep traditions of authentic wickerwork. In 2011 Anna worked on a documentary about life in a closed environment of a Leper colony in Cairo, and Anna worked on the Garbage city story in Cairo, where the Christian community were concentrated. In 2012-2013 working on the Territory project about stray dogs in Ukraine. Anna worked as a camerawoman with the main Ukrainian TV channel “ICTV”. Anna is the author of The City experimental movie that has been shown at the local and the international festivals in Cairo, Egypt; Oslo, Norway; Greece. Anna is one of the founders PoleZoru agency. Nadiya Chushak (UA) – human rights program coordinator of International human rights documentary film festival Docudays UA. Holds a PhD in anthropology (University of Melbourne, Australia). Teaches in non-academic settings on topics in anthropology, queer studies, feminism and memory studies. Dmytro Tiazhlov (UA) – curator of the cinematography course, at Kyiv state University of Theatrical art, Cinema and TV and "Indie Lab" documentary film lab for Young Filmmakers, coordinates documentary programme of American Independence film festival and still works as independent documentary filmmaker. Worked at Ukrainian TV and film as cinematographer for 10 years and familiar with all genres – features, documentaries, tv-shows, puppet animation etc. Dmytro created several shorts and doc TV series completes his first feature length documentary “I am a monument to myself” (2009), awarded "The best film of Ukrainian panorama 2009-2010" of Molodist film festival. Tiazhlov’s aesthetic falls squarely in the "direct cinema" tradition of documentary filmmaking. Anna Gaidai (UA) photography projects curator, PhotoCULT Centre of Photography co-founder, organizer of photography festivals Vizii (2013), ChernihivPhotoFest (2011), exhibitions and educational courses, member of International portfolio reviews selection committees (Vienna 2014, Bratislava 2013, Kaunas 2013). The workshop is supported by The Swedish Institute.